Are you a lover of fine luxury watches such as Tag-Heuer, Cartier, Movado, or others? These watches are great to look at and wear. They are made from all of the finest materials and superb movement. Cartier watches are made of stainless steel, and the crowns are screwed down to maximize the watches resistance. Tag Heuer watches are made with steel and 18k gold. These watches are magnificent and move with quality craftsmanship. With one of these watches on your wrist you will be known as one who loves quality and craftsmanship in all that you do. Movado is not as luxurious as the other two mentioned here in, but it still a gorgeous watch and will turn heads. These watches are made of brushed and polished steel, with precision Swiss movement. 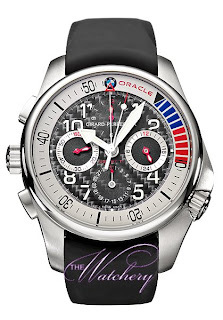 One of the watches that I like is the Girard-Perregaux BMW Oracle Racing R&D 01 USA 87 Men’s watch. This watch features a titanium case, chronograph functions, scratch resistant sapphire crystal, and a date of the month dial at the 6 o’clock position. This is a magnificent watch and y husband would look magnificent with this watch on. 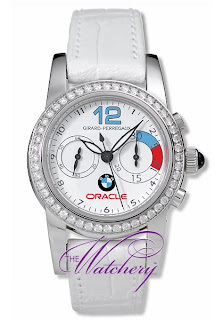 For my self I would love to have the Girard-Perregaux BMW Oracle Racing Column Wheel ladies watch. This is a gorgeous watch and would look good against my skin and with anything that I was to wear. It is made of stainless steel and has diamonds around the entire bezel from 12 o’clock to 12 o’clock. If you love looking your best then one way to do it would be with a well-designed watch on your wrist.